20 hours of Hands-on with Dockers and Containers. Lightweight container technology is revolutionizing IT infrastructure environments, and Docker containers are the frontrunners in this new era of enterprise ready container platforms. With the easy portability that Docker affords, organizations have the freedom to build and manage applications and deploy them across multiple infrastructures. This greatly increases operational efficiency and developer productivity, allowing applications to be run seamlessly across one server or deployed across multiple servers. KnowledgeHut’s Docker course will take you from the rudiments of installation and architecture to a detailed review of the use cases and advanced features of Docker. Gain mastery over the key concepts of Docker and understand how data can be containerized into a single or multiple containers. Learn to perform various operations using tools that simplify application deployment and facilitate continuous integration, and learn to work with Docker networks. By the end of the course, you will be able to deploy and manage container based Applications on the Cloud. Learn various Docker Commands for creating, stopping , removing and copying container. Create images by starting a container using a base image and interactively make changes to it, Create a Dockerfile that will let Docker build the image automatically. Pulling and pushing images .Create own images using Dockerfile and push to Docker Hub. Share your image using Docker Hub, deploy your own Docker images registry and set up your own automated build. Creating Organizations and teams in Docker Hub. Learn how to use Docker Volumes to persistent data within Containers. Sharing directories between containers and container versions. Upgrade containers, restart machines and share data without data loss. Learn about basic concepts that use the default Docker networking configuration. Learn about some Docker commands that let you find the IP addresses of your containers. Establish linking in the containers. Configuring Docker Daemon IP Tables and IP Forward settings, Set up custom bridge for Docker. Creating Networks and working with Services. Learn the concepts of Single Host Networking , Creating Bridge Network. Filtering and scheduling nodes for optimal deployment. Building multi-container applications using Docker Compose. Good and informative training on CSM. The trainer helped us all throughout the session. A very interactive and engaging workshop. Practical knowledge was shared which added more value to the experience. 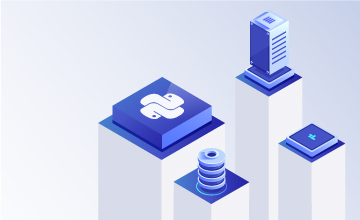 Containerization has become the new norm, as it allows applications to be easily moved through the development, testing and production lifecycles without any technical friction. This helps to achieve consistency across multiple, diverse environments and facilitates easy portability and scaling. With our hands-on training, you can become a part of the new wave of innovation in cloud computing and containerization. In this new Forrester Wave report, Docker is said to ‘lead the pack’ when it comes to enterprise container platform suites. KnowledgeHut’s experiential course will help you to kickstart your career in the DevOps space as a Docker expert with the hands-on skills that most employers are seeking. There are no restrictions but participants would benefit if they have elementary linux administration and Networking knowledge. Your instructors are Docker experts who have years of industry experience.